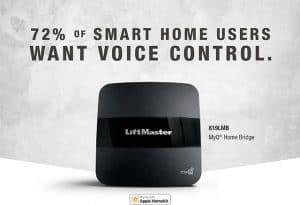 LiftMaster has the right products to bring smartphone control to your garage door opener. MyQ brings your garage to you no matter where you are. Check out all the features online on LiftMaster’s Website. Get notifications when your garage door opens and closes so you know when loved ones come and go. Preset times for the garage door to close or the lights to turn on or off with the MyQ® App Scheduling feature. Check the status and control your garage door from anywhere. Contact Metro Garage Doors today to schedule your new LiftMaster Garage Door opener installation appointment.